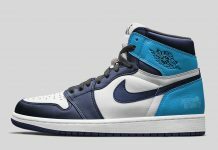 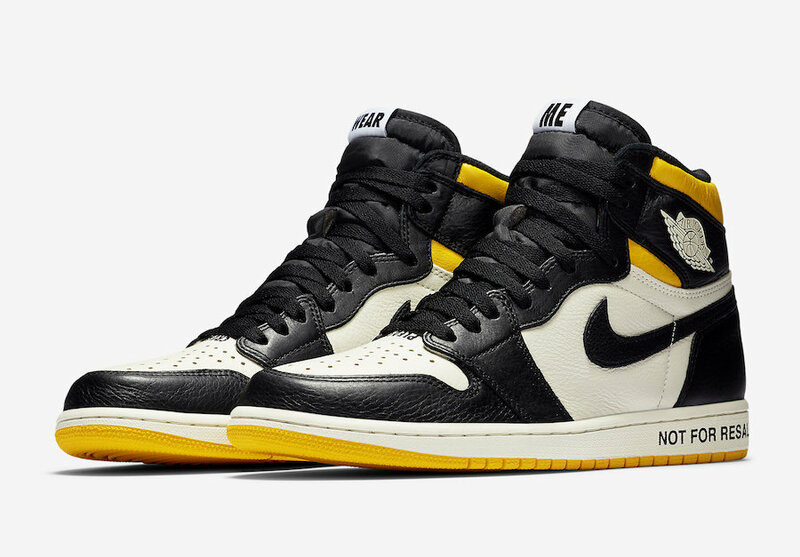 Jordan Brand trolls the resale culture with their latest rendition of the Air Jordan 1 in the “No L’s” collection. 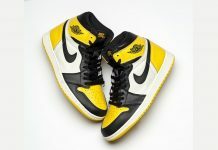 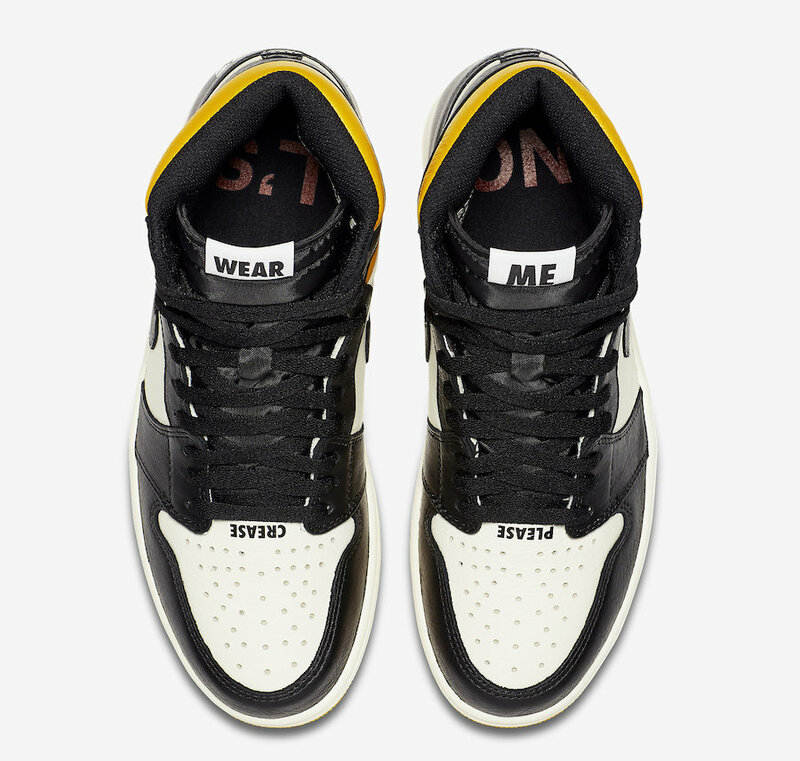 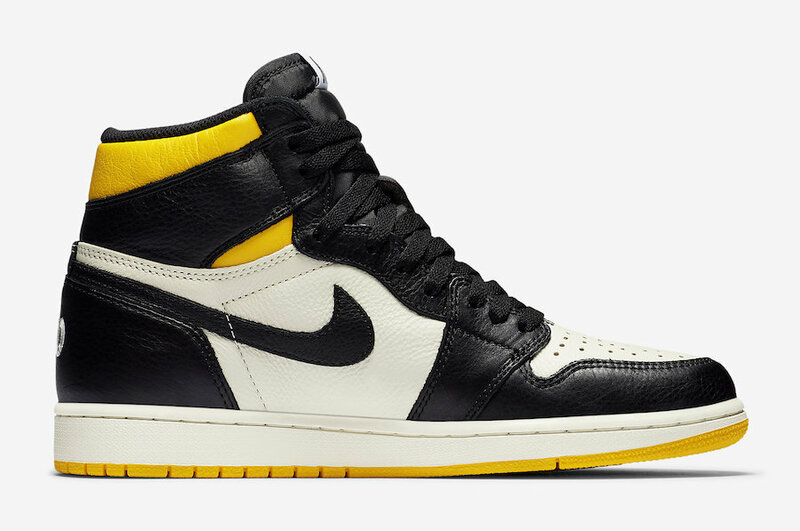 Featuring a Varsity Maize accented upper with premium Black and Sail Leather panels, this Air Jordan one has different texts throughout clapping back at the hype and resale culture. 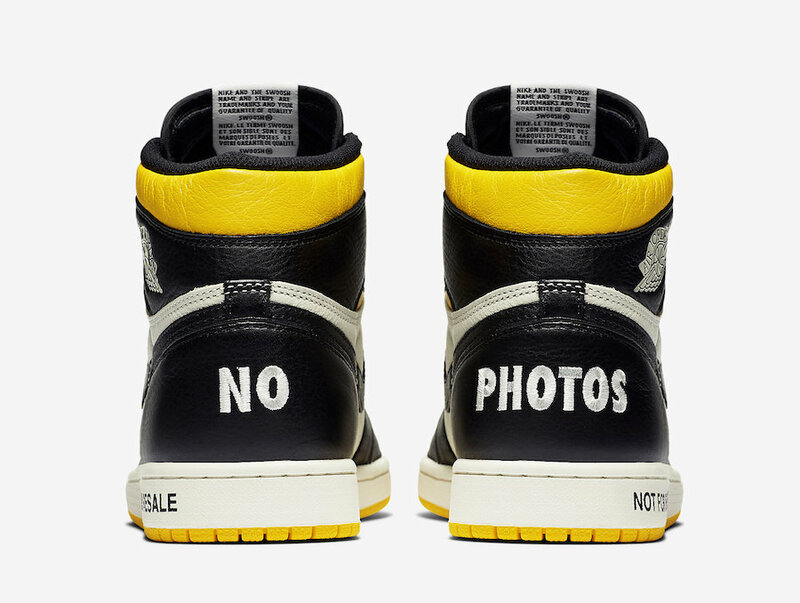 With text saying, “Wear Me” on the tongue, “No Photos” on the heels, “Sorry, This Pair Is Not Numbered” and “General Release” on the inner lining as well as “Please Crease” on the toes and “Not for Resale” on the midsole. 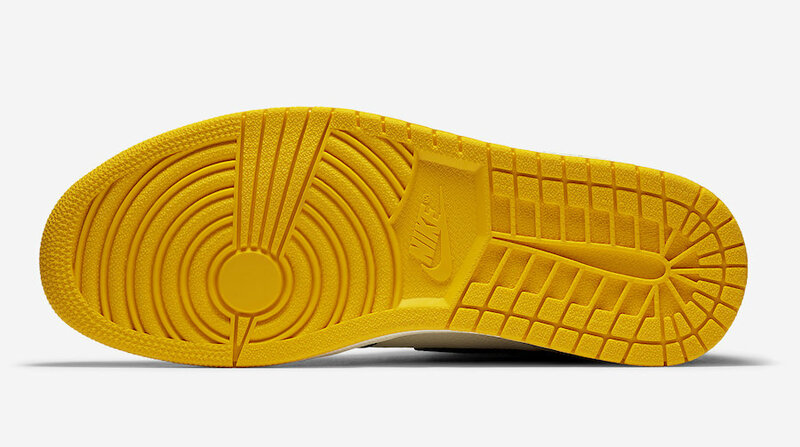 The “No L’s” text on the insole completes this design. 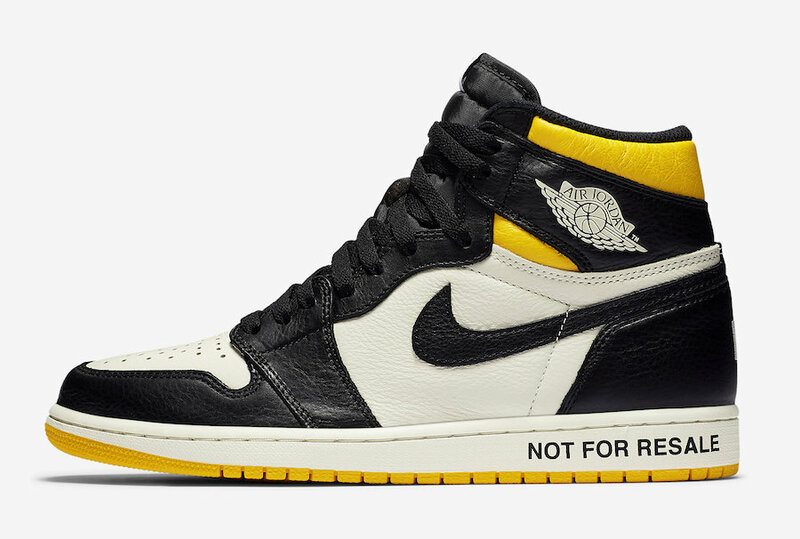 The Air Jordan 1 Retro High OG NRG “Not For Resale” is set to release on November 14th exclusively at Flight 23 store in LA with the retail price tag of $160 USD.